This pro con speech is a controversial argument of policy, stating why attorney-client privilege should be abolished. 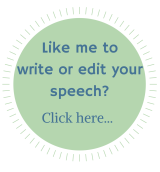 Enjoy - and I hope it gives you some ideas on writing your own controversial speech! Should We Protect The Guilty? Attorney-client privilege is one of the most sacred rules of the American court system today. The idea that you can say anything you want to your attorney - and he or she will never have to reveal your words - is one of the principles upon which the court system is founded. But does attorney-client privilege uphold the two goals of the justice system, namely to convict the guilty and protect the innocent? In truth, it does not, and this practice should be abolished in order to ensure the American court system delivers true justice. Critics of this idea have some really good points working in their favor. They suggest that people can be convicted if they don't have access to legal advice. Defendants may not seek that legal advice if they think that speaking to an attorney will get them in trouble. As a result, claim the critics, it is necessary to guarantee that their discussions with attorneys are privileged, so they can seek the help they need, and get as much justice from our system as any other party. They also believe that in order to get the justice they require from the system, an accused person must be able to hand all of the facts of the case over to his/her attorney, even if there are self-incriminating facts involved. By making sure that the discussions are private, a proper trial can proceed. Critics claim that clients both want and need confidentiality for a variety of reasons, not just guilt of a crime, and taking that right away might make them liable for civil damages they wouldn't otherwise have to face. 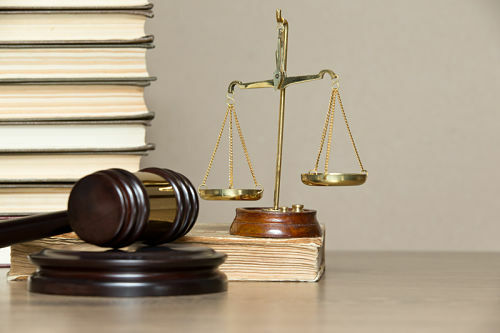 They take the argument one step further by suggesting that fear of the court system by attorneys would only damage the judicial system by increasing a lack of compliance with judicial orders. These arguments have some real flaws. The simple truth is that justice relies on the fact that guilty people will be punished and innocent people will go free. Attorney-client privilege promises that neither of these things is going to happen. The courts can't have access to important documents or other information that shows someone has committed a crime or that demonstrates evidence that someone else is innocent. People don't seek legal advice because it is confidential. Lots of people confide in non-legal parties (like friends and relatives), knowing that these people may have to eventually testify against them. Moreover, whether we have attorney-client privilege or not, people withhold information from their lawyers, hoping to save their reputations. Laws were designed to protect the innocent, unfortunately this law more often than not protects the guilty. There are hundreds of situations where civil interests should be protected before a client's interests, and the courts should make that decision accordingly. If an innocent person is going to jail because of attorney-client privilege or knowledge of a crime is being covered up - a financial crime that will be devastating to thousands, for example - an attorney has an ethical obligation to report that. Yet the attorney-client privilege stands in the way of his/her doing so. Keeping attorney-client privilege in our system only allows the guilty, the rich, and the powerful to dominate our society, despite what any critics may say. Our justice system was founded on protecting the rights of the innocent, and that simply cannot happen with archaic rules like attorney-client privilege. That's it! So what do you think? Are you for or against the argument of policy in this pro con speech?